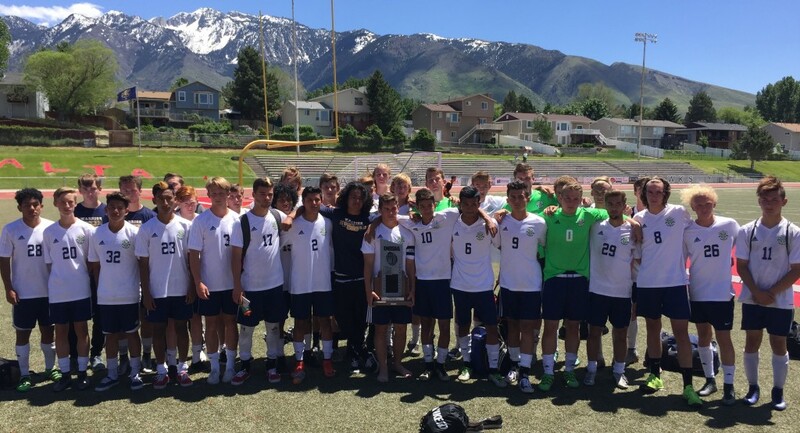 SANDY – Just a few inches here and there in the final minutes of the match kept the Snow Canyon Warriors from equalizing against undefeated Juan Diego, which prevailed 1-0 and won the 3A State Championship Saturday at Alta High School. Juan Diego head coach Scott Platz chuckled nervously when asked about his impression of the final game-sealing save. Snow Canyon’s Angel Muniz, Alex Vichi and Kevin Chillen all saw good looks at the goal in the second half and each attempt sailed out. Muniz, in particular, tantalizingly saw his 25-yard free kick attempt with 10 minutes to go skim the crossbar on it’s way over the goal. At the end of the day, SC was simply unable to find the back of the net. Juan Diego, which capped a perfect 18-0 season and recorded its 14th shutout of the year, tied the state record for least amount of goals allowed in a season at five, originally set by Brighton in 2006. The Soaring Eagle are the 2016 3A state soccer champions with today’s victory. Most of the first half was an intense scoreless battle. In the 30th minute, Juan Diego drew a penalty foul and Soaring Eagle striker Michael DiGeronimo, who Friday scored the golden goal over Dixie, lined up for the penalty kick against Snow Canyon’s Quinn Hargis. Hargis, dived to his left and impressively parried the attempt, keeping things knotted up. 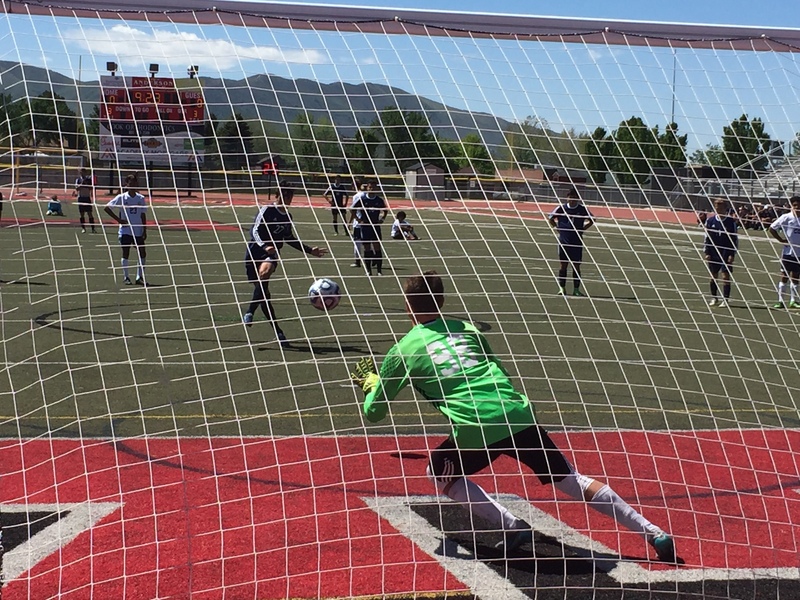 With just three minutes to go before halftime, Juan Diego earned a free kick from 30-yards out and Sands put it on frame for what would prove to be the lone goal of the day. Despite the title game loss, Snow Canyon senior Jenkins reflected on what he said was a perfect career. Warrior head coach Marc Wittwer added that despite losing a close one, this season was still a great one. The Snow Canyon Warriors finish their 2016 campaign, 15-4-1 and took 2nd place overall in 3A.